Hopefully this will be another good run out for the team and I would like to see Rosenberg score again. I hope we see Shane Long feature in this game. Sorry about putting this link here mods but I thought more Baggies would see it. Myhill; Reid, Dawson, Olsson, Popov; Morrison, Yacob, Brunt; Long, Anelka, Rosenberg. 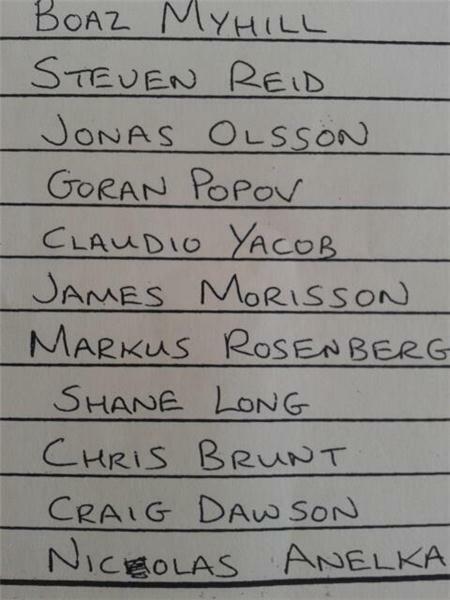 West Brom - Myhill; Reid, Dawson, Olsson, Popov; Morrison, Yacob, Brunt; Long, Anelka, Rosenberg. It should be interesting today to see how this formation works and how the three strikers work together, hopefully it will give Clarke some ideas for the first game of the season. Is mulumbu still not fully fit then? Hopefully its the first of many for Anelka, was it a good goal? I'm just getting it off Madeley. First was apparently a turn and shoot at an uncleared corner, the other a one two with Rosenberg. 2nd goal was a return pass from the Berg for a headed goal, very nice apparently! Excellent, great start made so far 2-0 up too for Anelka, pleased to see him getting into some form now. Brilliant! Glad to see Orban's team being hammered. Pulis are very intelligent and fairly easy to train if you are consistent and kind in your methods. Training should begin right away. Well-trained Pulis excel in agility and obedience. Lepko's upset, Puskas being too physical for his liking. Three subs at half time Daniels, Jones and Dorrans on for Myhill, Reid and Morrison. Four more subs Ridgewell, McAuley, Tamas and Mulumbu have come on now. Still 2-0 Albion.